A conveyor system is something which enables to move various kinds of stuffs from one place to another, along a conveyor line with ease. Power roller conveyor systems are very popular and easy to install. This system provides quality service year after year without any fuss. Thus it saves your money and increases productivity. Depending on the loads, the roller conveyors are powered by belts, chains or o-rings. This system can be used in various places for automatic manufacturing and distribution. Safe transportation: The power roller conveyors can efficiently and safely handle the transportation of materials to various levels. The safety features of this system prevent accidents. Cut down expenses: If manpower would have been used to move things from one place to another then it would have been really strenuous as well as expensive. The use of roller conveyor can make the work easy and cut down the expenses. Goods of all kinds can be transported: All kinds of goods irrespective of whether they are small or big, heavy or light weight, can be transported using the power conveyors. Fit individual needs: The well equipped methods of running conveyor system are fit enough to serve the need of an individual. Power roller conveyor systems have taken the transportation system level to another level. The system can be used for moving extreme heavy to lightweight articles from here to there. These articles can vary in size too. There are mainly three types of power roller conveyors. Gravity conveyors: This kind of conveyors do not use power to transport things and thus it comes at a very low price. The gravitational power is used in this conveyors to move things on a systematic way from a particular point to another. The gravity conveyors have simple mechanism and it is made up of wheels or rollers and frame. 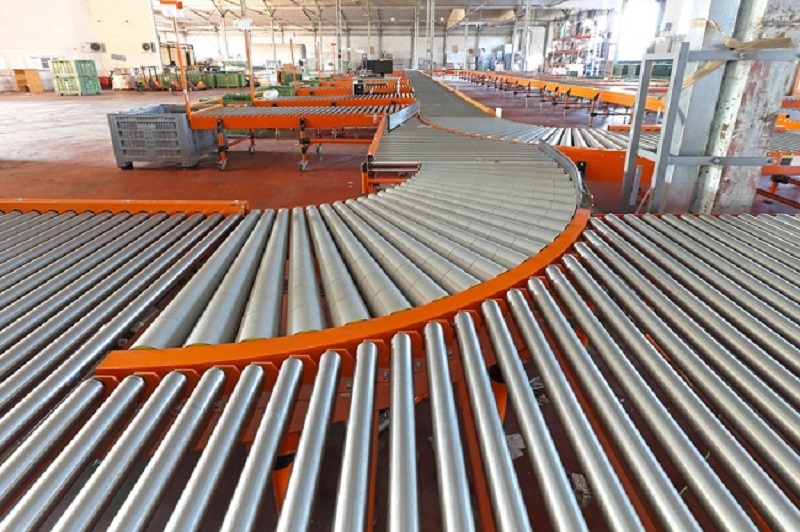 The shape of this conveyors can be straight, spiral or curved. As the conveyor doesn’t require power to run so it has very less ability over the flow of products. Belt conveyors: This is the most frequently and widely used power roller conveyor systems. Belt conveyors are very cost effective. It utilizes pulleys and a belt which is wide enough to move product. A high fiction is created between the belt and the item compel the conveyors to move articles, maintaining a certain speed. A wide range of materials can be transported with the help of the belt conveyors. Live roller conveyors: Variety of products can be transported with the help of live roller conveyors. Depending on the type of load, the powered roller conveyor systems can use some rollers or all the rollers for pushing the stuffs. It can be used both for the light and heavy duty purposes. The greasy, non-greasy, cold or hot, large or small – all kinds of items can be transported with the use of this type of conveyor. They are mainly two types – a) Belt driven and b) Chain driven. The conveyor systems can be used in the industries like – Aerospace, Agricultural, Automotive, Bottling and canning, Chemical, Computer, Electronic, Food Processing, Mining, Pharmaceutical, Print and packaging etc. It can be beneficial for your business as it requires minimum maintenance. The powered roller conveyor system is often considered as the lifeline of a company. Thus, install the system and run your business smoothly and efficiently.